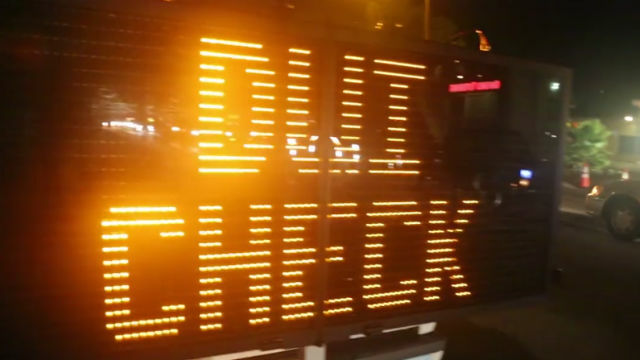 A Friday night DUI checkpoint in Oceanside led to three arrests, police said Saturday. The checkpoint was conducted between 8 p.m. Friday and 1 a.m. Saturday on El Camino Real between Mission Avenue and Vista Rey, near the road’s underpass with state Route 76. Officers arrested one person for drunk driving on a bicycle, one for driving under the influence of marijuana and one for parole violation, according to Oceanside Police Sgt. Rick Davis. Police also cited six people for driving with suspended or revoked driver’s licenses. A total of 338 vehicles were screened at the checkpoint.